The New Objectivity and Magic Realism have their beginnings in an exhibition hold in 1925. Their common characteristic is the representation of domestic indoors or scenes of every day life expressed in an unreal dimension. The first representatives of the New Objectivity trend to imitate ancient German models but they depicted people and things with a cold and striking precision. They tried to take some elements of the expressionist too, depicting greed, lust, rage, brutality, spinelessness and cowardice, this is, what they understood as the portrait of a person. Authors belonging to this New Objectivity are Max Beckman, Otto Dix, George Grosz, Edward Hopper or Balthus. 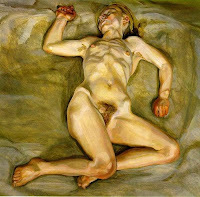 Beckman, Dix and Grosz are more linked to the German expressionism, while the others created very personal works. Hopper painted a urban world, full of silence, in an space unreal and metaphysical that created in the spectator an impression of the subject being far from them. His compositions are geometrical, with sophisticated lights, always cold and artificial, and with simplified details. The scene is always almost desert, with few images what underlines the impression of loneliness. The images of the French Balthus create a cold and sombre atmosphere. He was influenced by the realists and his portraits show a gesture of great reflection and concentration. He frequently depicted familiar scenes or images in which very young girl are presents. These girls were considered to be the only pure characters but there is something provocative in them. With the time he evolved to a more simple depiction. The Magic Realism has two different aspects, the social and the socialist realism. By Social Realism we understand art works which chronicle the everyday conditions of the working classes and are critical of the social environment that causes these conditions. This style was broadly accepted during the years following the 1929 crisis in the USA. Among the representatives of this group are Jose Clemente Orozco and Diego Rivera, both of them muralists. In Paris, after the end of WWII many artists of left-wing focused on depicting the dramatic conditions of the working-class lives, their social plight, but workers, builders, men and women, capable of building a better world. Some members of this group were Picasso, Leger, Buffet and Gruber. Social Realism is not very different from Socialist Realism. The main difference relies on the fact that Socialist Realism tends to advertise revolution and it is linked to the adherence to party doctrine. 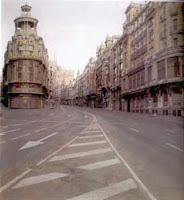 Hyper Realism is other trend of the same period and it has a good representative in the Spanish Antonio Lopez, with urban views that may appear as photography given the accuracy to the model. 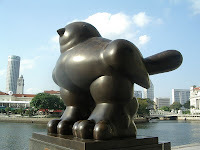 In more recent times other artists have developed a realistic approach to art, this can be the case of Lucian Freud, and amazing portraitist, or Fernando Botero, with a very particular aesthetic, painting fat images through which he represents the reality of his Colombia or makes strong critics against any kind of violence, denouncing injustices all over the world and presenting art as a compromise and a weapon for fighting in favour of people.